1) Survived my first-ever 5K run. 2) Finished the run in 27 minutes, 50-something seconds (I think I found the site that will have the official results…will update all of you later). 3) Realized I didn’t get my Heart Walk/Run shirt from the American Heart Association. I guess it will get mailed once the donation amounts are confirmed. All I know is I better not get screwed out of that shirt. 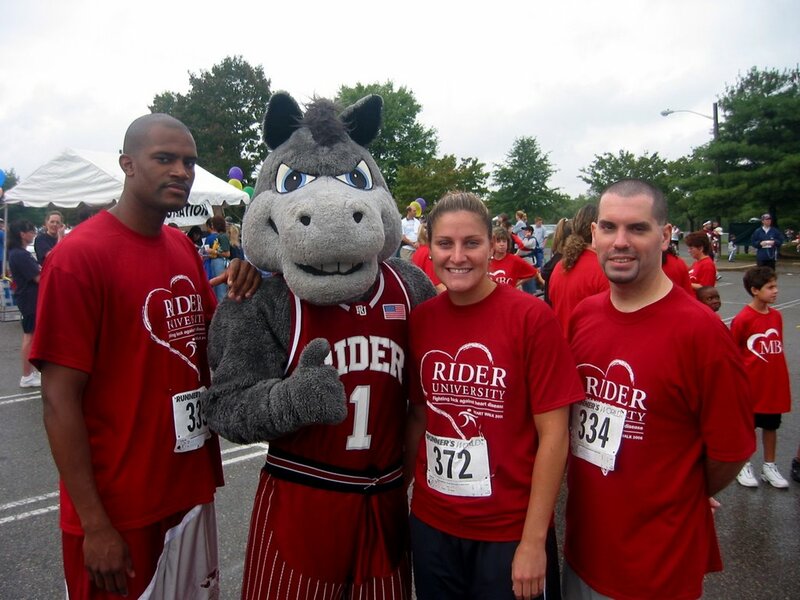 4) I do have a nifty Rider-oriented Heart Walk shirt I wore during the race. Again, thank you to those that donated. Your support for me and the fight against heart disease was very much appreciated. 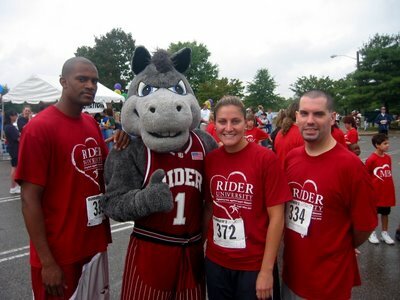 Photo: Rider’s University Advancement team 5K runners — (L to R) Mike Scott, graphic designer for publications; The Bronc, mascot; Jacyln Levi, assistant director of annual giving; and me. Congrats, Lakewood BlueClaws: 2006 South Atlantic League Champions!! !